CRI is proud to be able to provide one hour of general HRCI credit per live webinar. Unfortunately, we cannot grant HRCI credit for recorded webinars. This is due to our inability to verify that the attendee actually viewed the entire recording and remained engaged in the content. We can only monitor this during live webinars. HRCI, or rather the HR Certification Institute, sponsors HRCI credit. 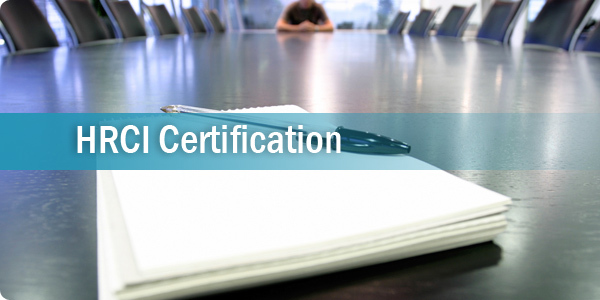 Becoming certified helps HR professionals stay competitive and current on important HR-related issues. Click here to find out more about HRCI credit. If you have recently attended a live webinar and would like to claim HRCI credit, please submit the following form.